Whooooops! I may have forgotten to take a picture of the pizzas that we made for P’s birthday until almost everything was gone. 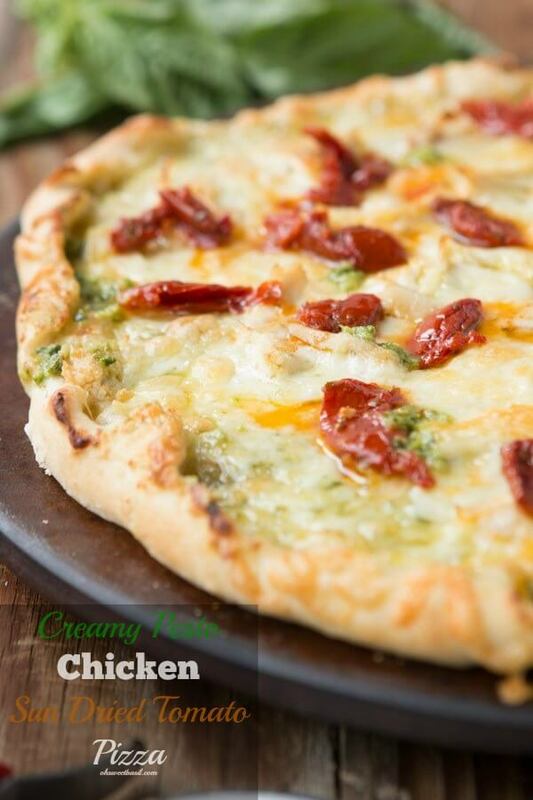 This Creamy Pesto Chicken Pizza has a delicious thin crust and juicy sun dried tomatoes. We love a good twist on the typical pizza, like this recipe. The crust is a really big deal to me. Bread and cheese is pretty hard to mess up, but pizza dough can definitely do just that. 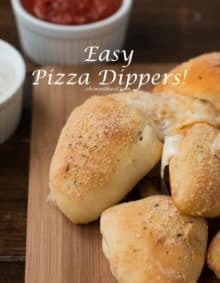 Have you ever had a not so great homemade pizza? We have and for years we stopped making it because take out really was better than the recipe we were using. And then I wised up and starting testing recipes until I found one that was perfection. You’ll notice we have talked about pizza quite a bit, how to make a perfect pepperoni pizza (it involves a microwave, do you know the secret? ), our favorite Italian style pizza loaded with caramelized peppers and onions and really flavorful sausage. 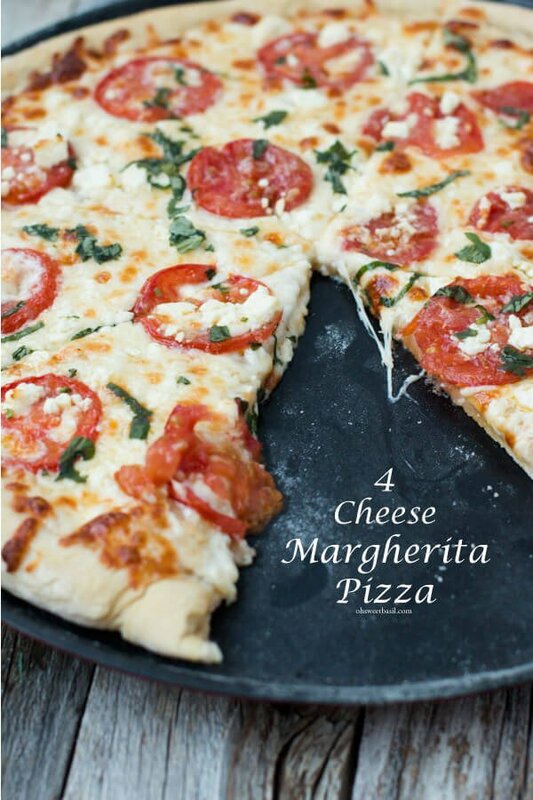 Then there’s always our all time favorite four cheese margherita pizza. It’s amazing! But this pizza is totally worth your time as well. 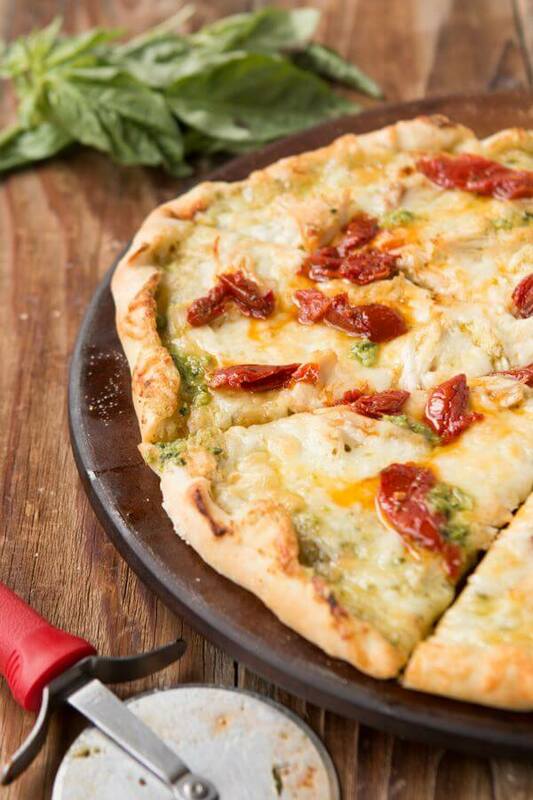 It’s got a creamy pesto sauce and those warm, rich sun dried tomatoes make it the perfect summer pizza. Plus, thin crust must make it a healthier pizza so you get an extra serving, right? Pesto traditionally consists of crushed garlic, European pine nuts, coarse salt, basil leaves, Parmigiano-Reggiano and pecorino sardo, all blended with olive oil. How Long Will Homemade Pesto Stay Fresh? You can keep homemade pesto for 1 week if stored properly. Pesto should be kept in an air-tight container in the refrigerator. 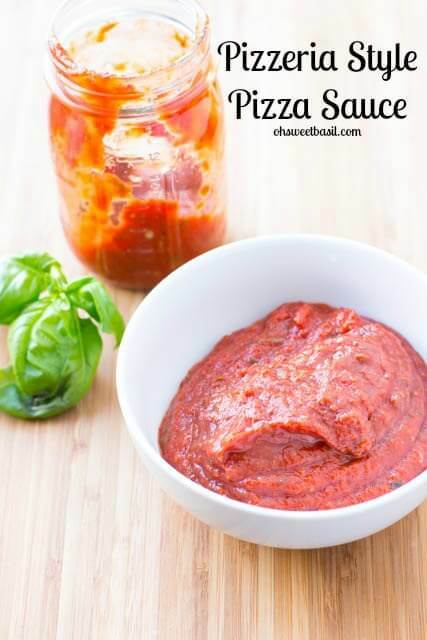 Can You Use Spaghetti Sauce for Pizza Sauce? Spaghetti sauce and pizza sauce contain the same ingredients, so yes, they can be used interchangeably. Add the yeast and sugar to the warm water and allow it to sit for 10 minutes. In a large bowl, combine the cake flour, 2-1/2 cups of all-purpose flour, and salt. Add the yeast mixture to the flour and stir to form a soft dough. 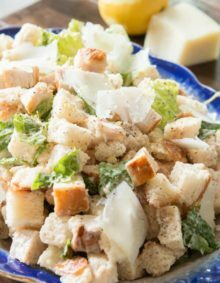 Using your hands, quickly and gently knead any scraps or flour into the dough. Coat a bowl with olive oil, and place the dough in the bowl, turning it once to coat with oil. Cover and let rise in a warm place. The dough should double in volume in about 1-1/2 hours, then flatten the dough and cut into 4 equal size pieces. Drape with a towel and make the sauce. In a saucepan over medium heat add butter and let it start to bubble. It should form a ball. Slowly whisk in the heavy cream, pesto and Parmesan. Add salt and pepper if needed and taste for flavor. 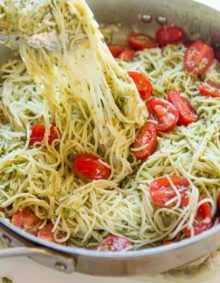 You can add a bit more pesto or cream depending on how strong you want the flavors. Press out the pizza dough and cover with creamy pesto sauce. As much or as little as you like. Top with cheeses, chicken, and roasted garlic. Bake 8-12 minutes at 500 degrees. Remove from the oven and top with Sun Dried tomatoes. Place remaining dough in a ziploc and refrigerate overnight or freeze for up to 3 weeks. 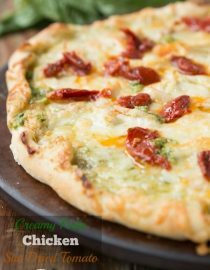 I looooove homemade pizza and this chicken pesto pizza looks INCREDIBLE! 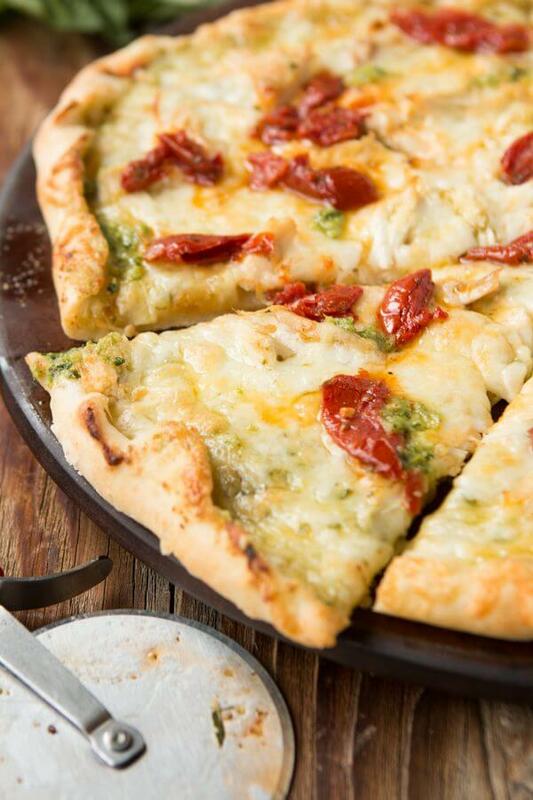 Pesto pizza is the best. Love those sun-dried tomatoes paired with the chicken! You’ve an incredibly good layout for the blog, i want it to work with on my web-site as well . I simply want to mention I am just very new to blogs and honestly liked your web blog. Likely I’m want to bookmark your website . You surely have superb articles and reviews. Regards for revealing your web page. This looks so yummy!!!! We might have to copy you and make it for Lily's 1 year birthday! I can't believe Payton is 4!!! Oooh that looks and sounds delicious! Now I can't wait to actually taste the deliciousness, thanks for sharing! That looks good! I like a white sauce pizza any day of the week. What a great recipe. I make a similar one with basil pesto. It's a tuscan pizza. your's looks delicious and I'll definetely be trying it, thank you! Krista, Thanks for letting me know! I fixed the link! yum! I love chicken pizza! Oh- your link to the pizza dough recipe is not active!